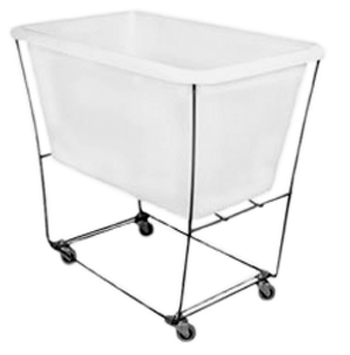 Great for damp linen storage. Comes with 2″ rubber swivel casters standard. Standard color white. 4 and 6 bushel frames also available in Slant style. Please inquire.